So a sad turn of events happened around here. First the happy part. 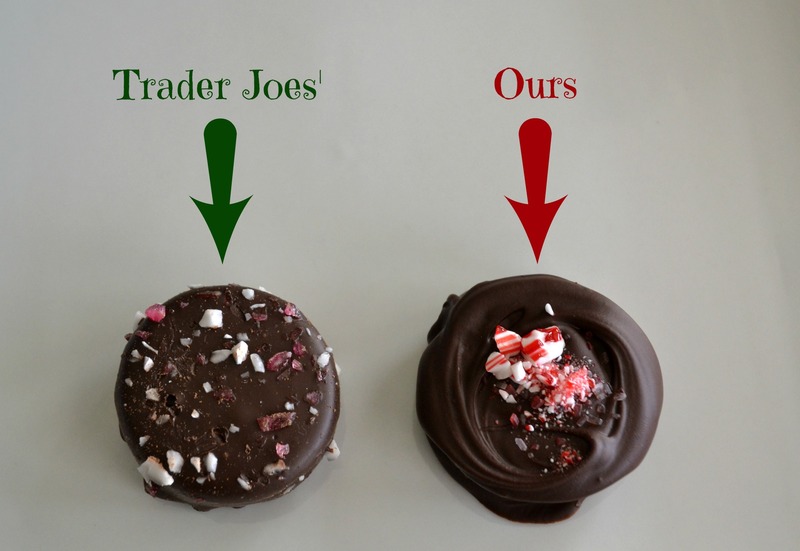 Jordan was gifted with a box of dark chocolate covered peppermint Jo-Jo’s from Trader Joe’s. Have you tried them? They are worth driving 45 minutes to get to the closest Trader Joe’s to buy them. So here is the sad part – we went to Trader Joe’s for these amazing cookies only to find that they were sold out. What?! How could they be sold out already? The poor guy working there seemed like he had explained this unfortunate situation to many people. Remember the movie The Little Mermaid where Ursula sings that song, “You Poor Unfortunate Soul”? I felt like that. In case you don’t remember Ursula sings, “You poor unfortunate souls, in pain, in need.” I was truly in pain, in need. ^^^I may be a bit biased, but aren’t ours so much prettier? So what’s a girl to do? Make her own. So here they are. 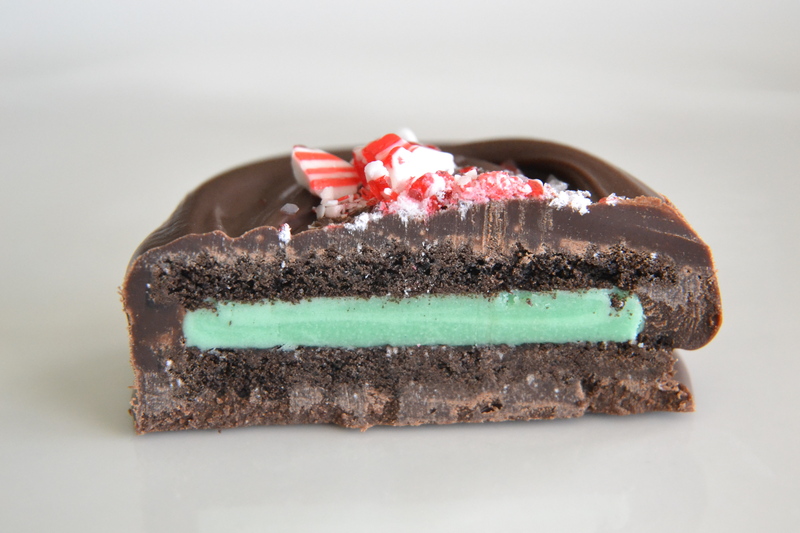 We bought Cool Mint Oreos and dipped them in melted semi-sweet chocolate and then sprinkled a few crushed peppermint candy canes on top. Delicious! Melt chocolate chips in microwave. I did mine in a two cup measuring cup. Melt at 50% power in 45 second increments, stirring in between. Dip Oreos in melted chocolate. This part is really messy and takes some persistence to get the cookie fully covered in chocolate. Place dipped cookie onto a cookie sheet covered in wax paper. 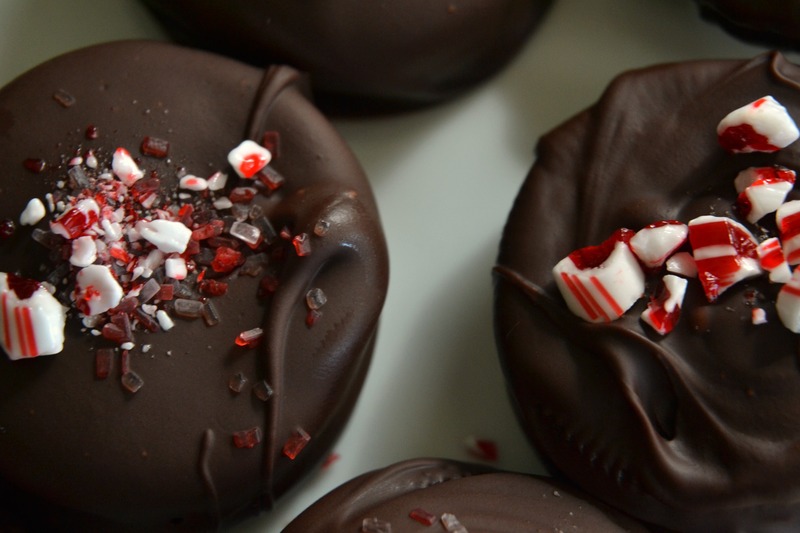 Sprinkle with crushed candy cane pieces, pressing in a bit to be sure that they stick. Place cookie sheet in refrigerator until chocolate firms up. Try to not eat the whole tray by yourself! 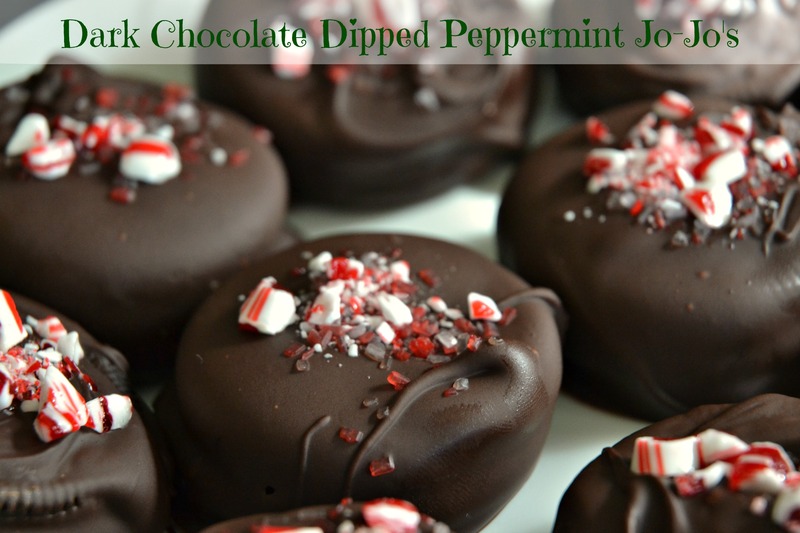 I was able to make 20 dipped cookies, more had I not completely covered my hands with melted chocolate.